The Polish School in Seattle invites all the kids to a carnival party at the Polish Home. It will feature games, competitions, and more. You can also have a tasty dinner for the whole family with home made desserts. This is a fundraiser for the benefit of the Polish School in Seattle. This is the annual meeting of the members of the Polish Home Association that is also an election meeting. PHA members can vote by proxy, see the PHA website for details. Dr. Andrew Janos is a professor at the Dept. of Political Science, University of California in Berkeley. His talk, European Agriculture in Historical Perspective: from Early Capitalism through Late Socialism to the EU, gives a background to one of the most contested policies of the European Union. This lecture is part of the Poland’s Transition: Success Story? lecture mini-series, organized by prof. Poznanski of UW. 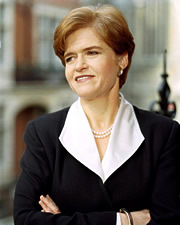 Dr. Deborah Lipstadt is a professor of Jewish Studies at the Emory Univ. in Atlanta, GA. She was accused of libel by British writer David Irving who denied that Holocaust really happened. Among others, Irving denied that the Auschwitz gas chambers were used by Nazis to kill Jews or other people and suggested they were modified by Poles after WWII. In her lecture, History on Trial, prof. Lipstadt tells the story of the trial that she won for the sake of the historical truth. This is a community feedback meeting about the Polish Home expansion project organized by the Polish Home Building Commission. The current project will be presented in details, architectural and financial plans will be discussed. The architect, Mr. Roy Koczarski, members of the Polish Home Association Building Commission as well as members of the Polish Home Foundation Fundraising Committee will be at hand to answer all the questions you might have about the project. 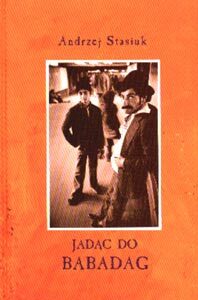 The book for this meeting is Jadac do Babadag by Andrzej Stasiuk, published by Wyd. 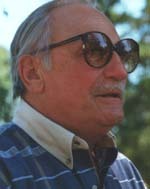 Czarne in 2004. This down to earth book by a non-conformist author won the prestigious 2005 Nike Award in Poland. Stasiuk’s books are widely available on the internet and in translations; please see the club website for more info. New members and guests are always welcomed at all Club meetings whether they have read the book or not! It’s not every day that a local college starts a Polish language class, so spread the word! It’s a nice alternative for the Eastside residents who say bridges make learning Polish too hard – they won’t have the excuse now! The introductory course #W9362 on Wednesday nights focuses on basics and has a native speaker, Ms. Monika Bledowska, as the instructor. Jacek Sowa, a self-described burgher of Nowy Targ, Poland, is a poet celebrating beauty of his native Podhale region and the High Tatra Mountains. His poems will be read by the Author and also by his friends and our local highlanders, the Pawluskiewicz families; poetry books by Mr. Sowa will also be available. Organized by the Pawluskiewicz Families and the Polish Home. The project is in the final review phase. All interested in the details of the project as well as volunteers are welcome! CAM is a new music institution founded last fall by pianists Ivona Kaminska and Christopher Bowlby in downtown Issaquah. The open house will also feature a 4 pm concert by the gifted students, including the very talented Emi Iwasaki, 21. Her mini-recital includes Chopin’s Ballade in G minor, Beethoven’s Tempest sonata, Op. 31, No. 2, and Bach’s Prelude and Fugue in E minor from the Well-Tempered Clavier, book 2. Refreshments will be provided! This is a traditional Christmas wafer (oplatek) sharing for members and friends of the Polish Home with Fr. Stanislaw Michalek. The Polish Choir Vivat Musica will bring the joy of carols singing to the occasion. Everybody is invited to come and sing Polish and American carols along.